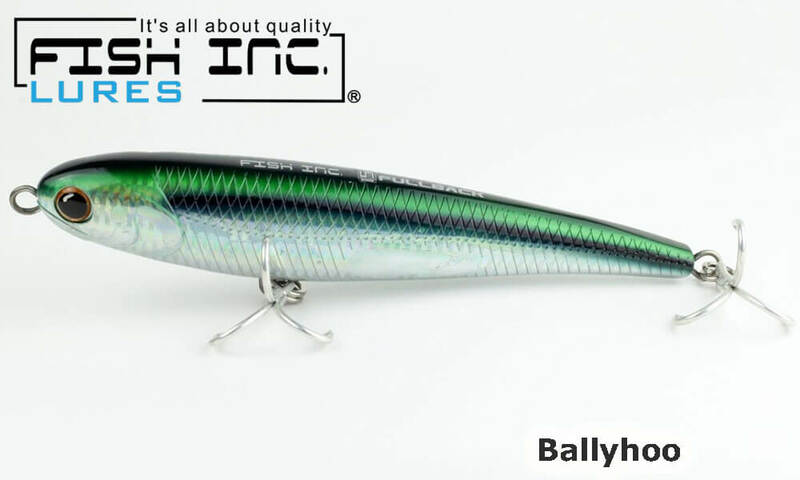 The Fish Inc Prop is a 140mm, 62g sinking stickbait that was built to be slightly larger and heavier than our Wing sinking stickbait. 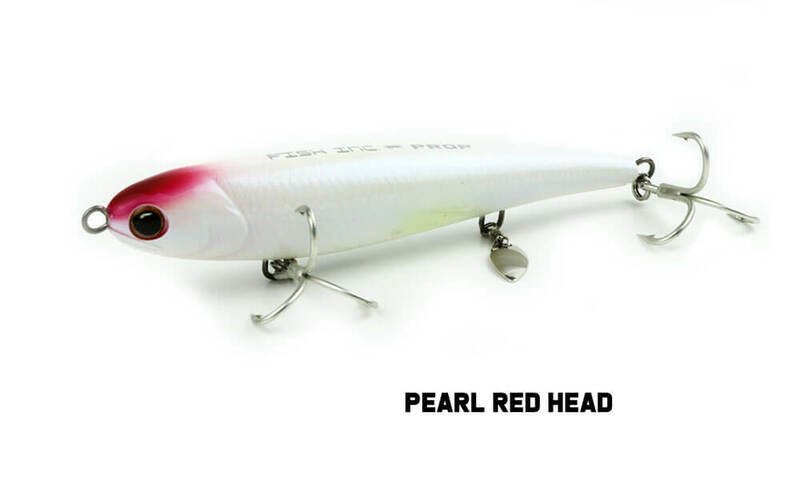 The blade also gives the Prop an erratic fall on sinking, which often results in a strike before you have even started your retrieve. 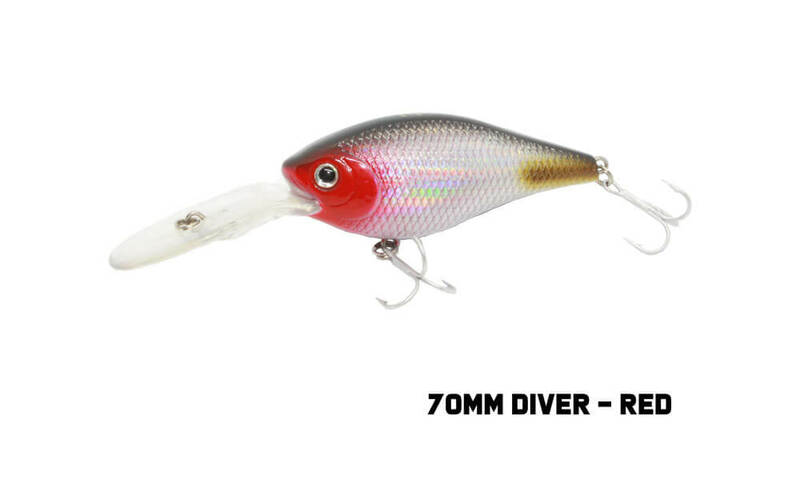 The Prop can be fished in a variety of ways whether it be a high speed surface retrieve or worked from the depths to the surface. 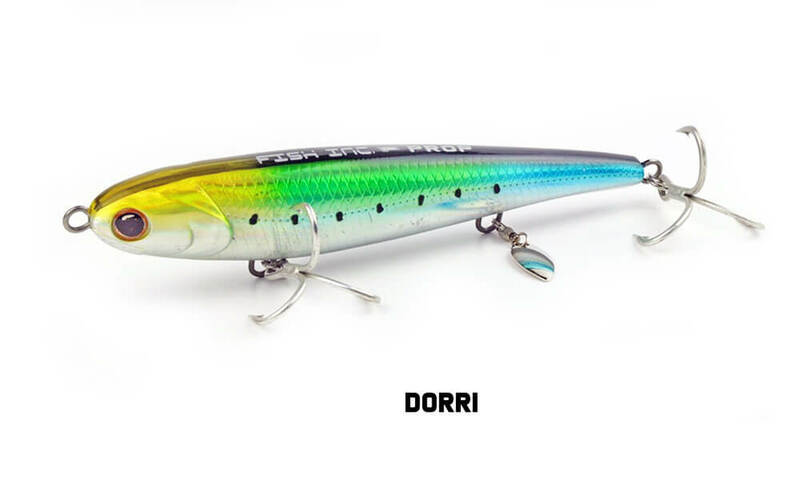 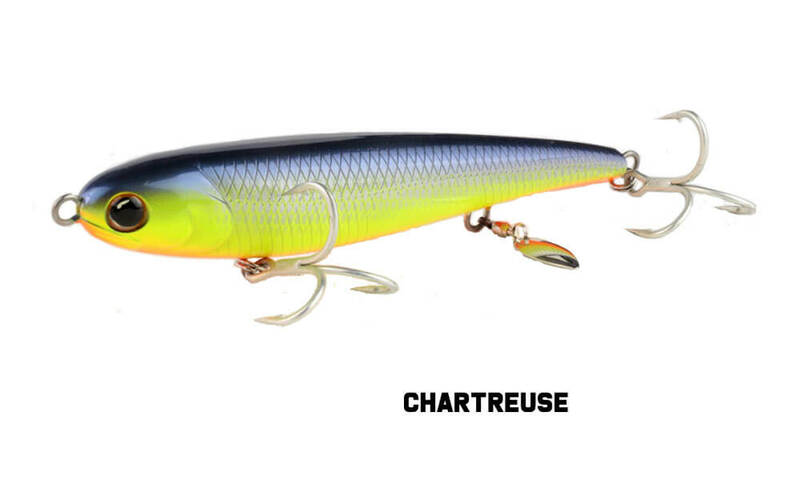 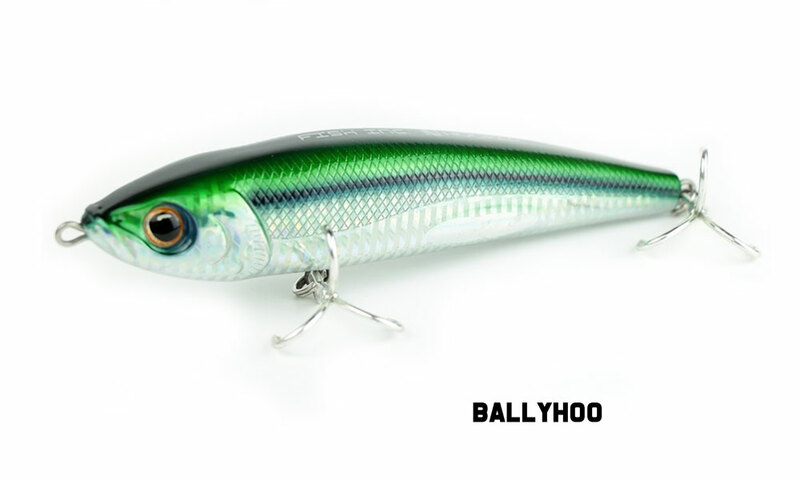 This versatile size stickbait has already produced a range of Australian species, including mackerel, trevally, tailor, mahi mahi, tuna and more. 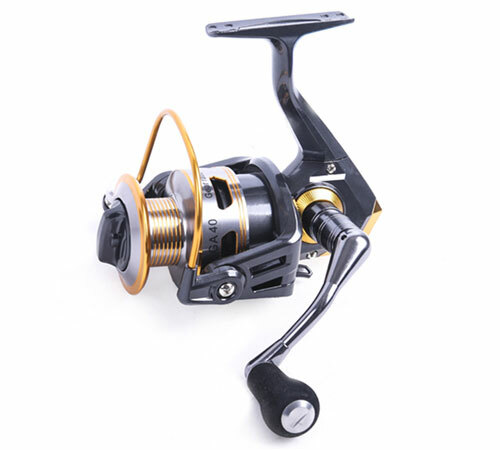 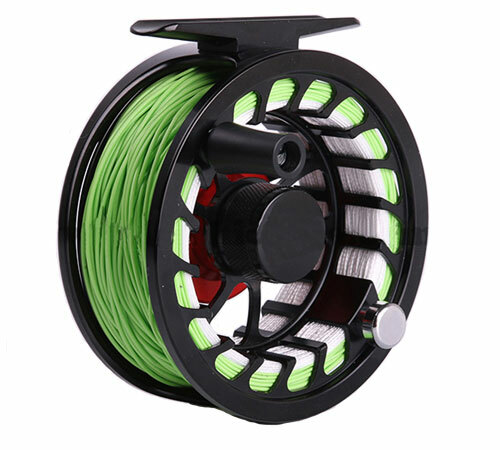 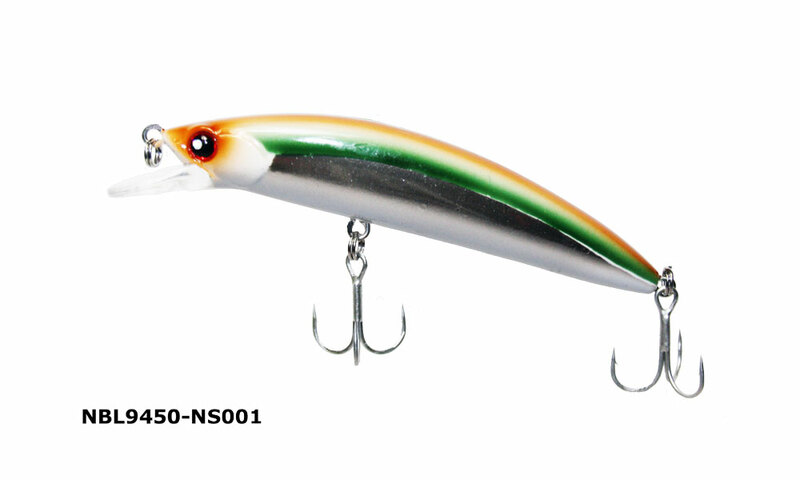 The addition of a spinning blade on the centre hook attachment point creates additional flash and vibration, both on the drop and when retrieved, that draws fish and attracts strikes. 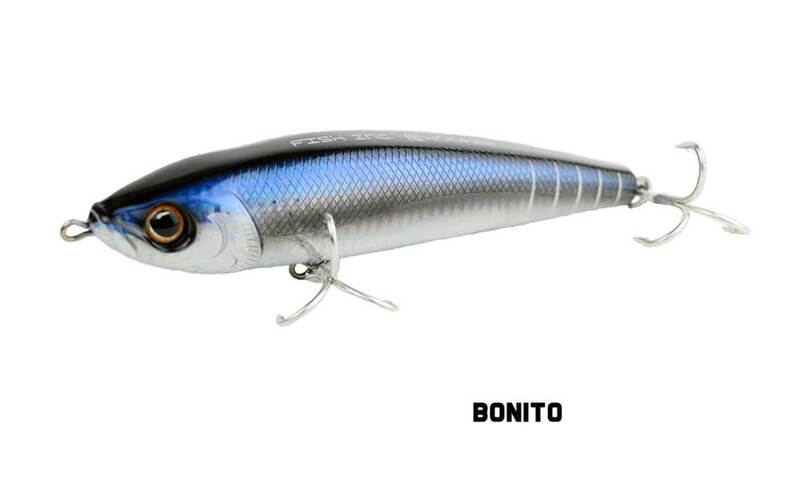 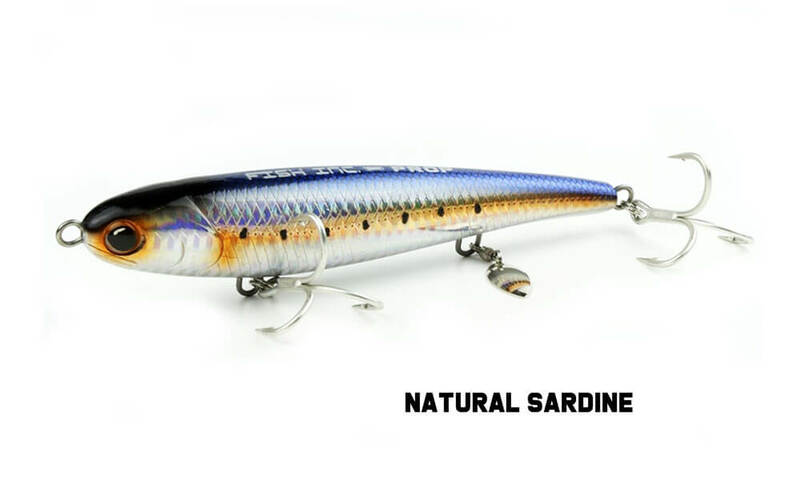 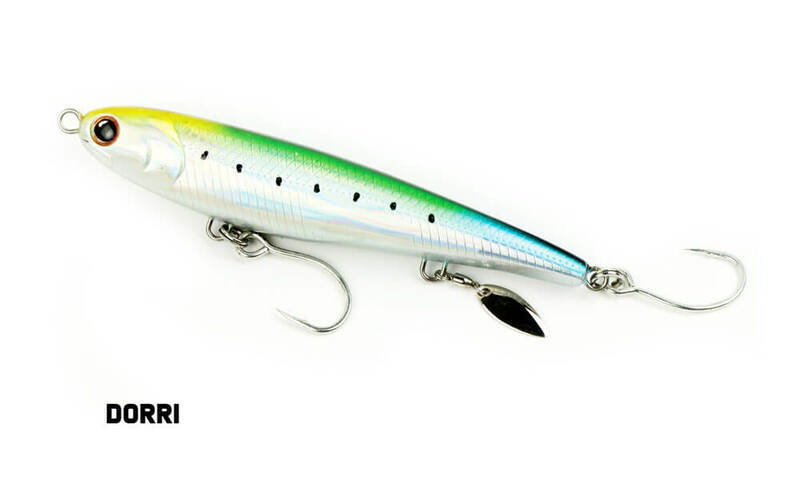 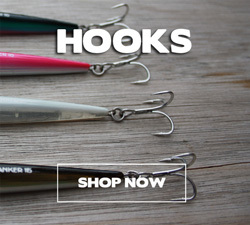 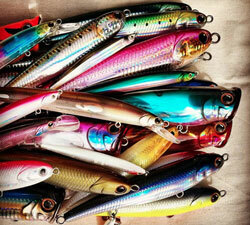 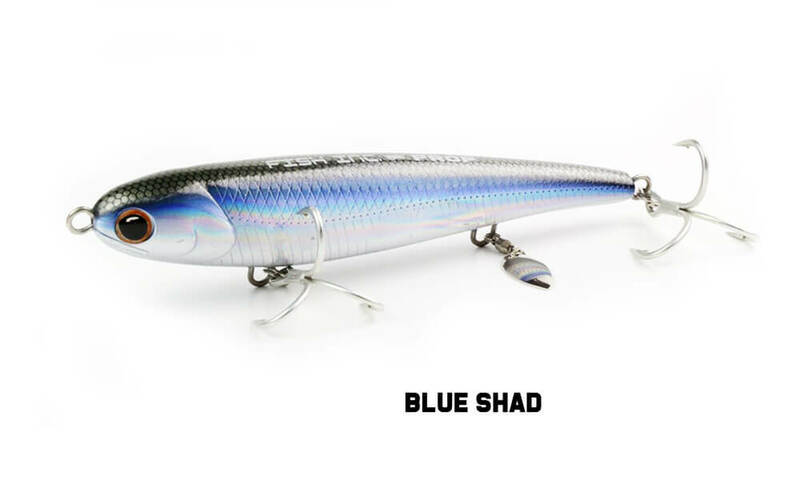 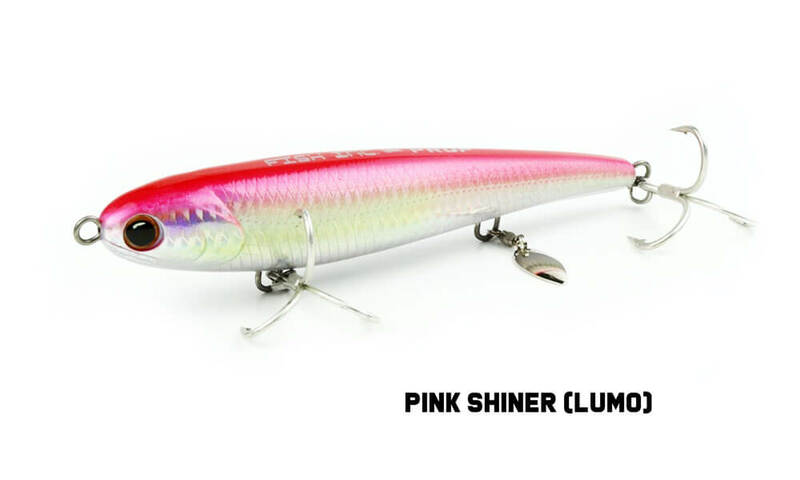 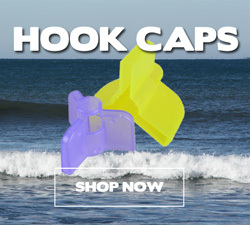 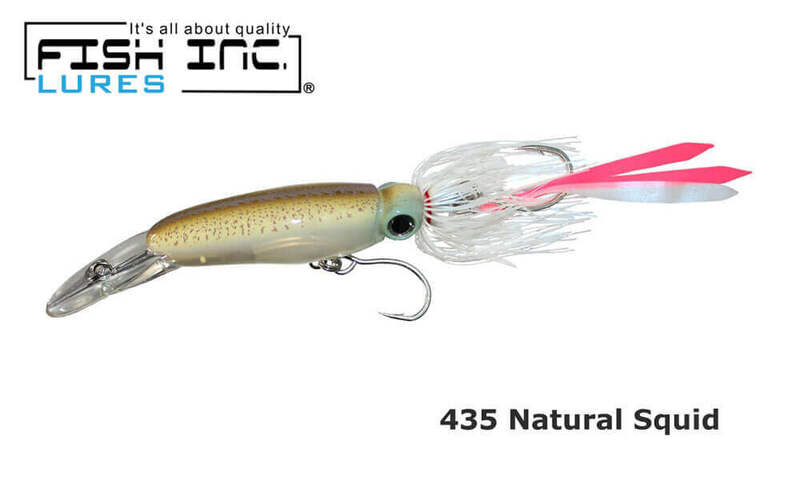 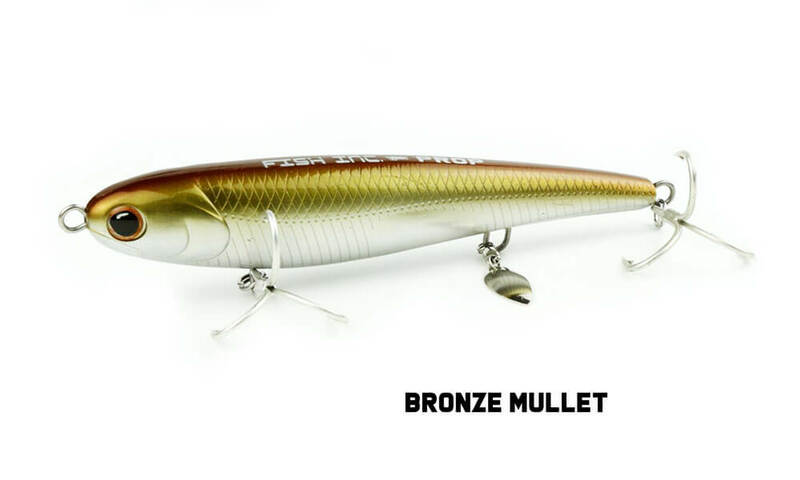 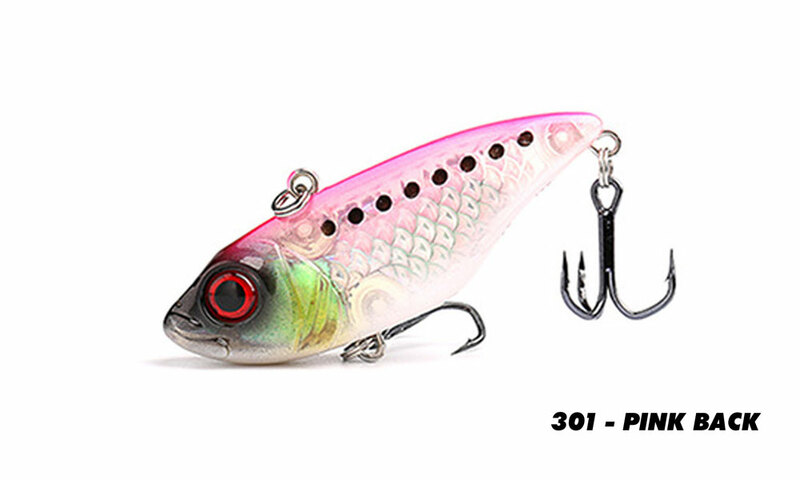 These lures feature quality finishes, durable construction and is available as a Prop - 140mm, 62g fitted with heavy duty Owner quality ST-56 TREBLE hooks and Tighthead Prop - 140mm, 60g fitted with heavy duty Owner quality SINGLE hooks for improved catch and release fishing.